During warmer weather, I love to get outside as a family to play. Outdoor games can be expensive though so I love DIY backyard games. I believe it’s important to help my kids develop the habit of being active at a young age. I also cherish the time I get to spend with them since they are growing so quickly! That’s why I love to find games and activities that get us moving and that we all enjoy. I especially like it when it doesn’t involve leaving home or spending a ton of money to be entertained elsewhere. Games that can be played in our backyard are my favorites. We play a lot of sports like volleyball, badminton, soccer and basketball. But we also enjoy other games that don’t necessarily require athletic ability. 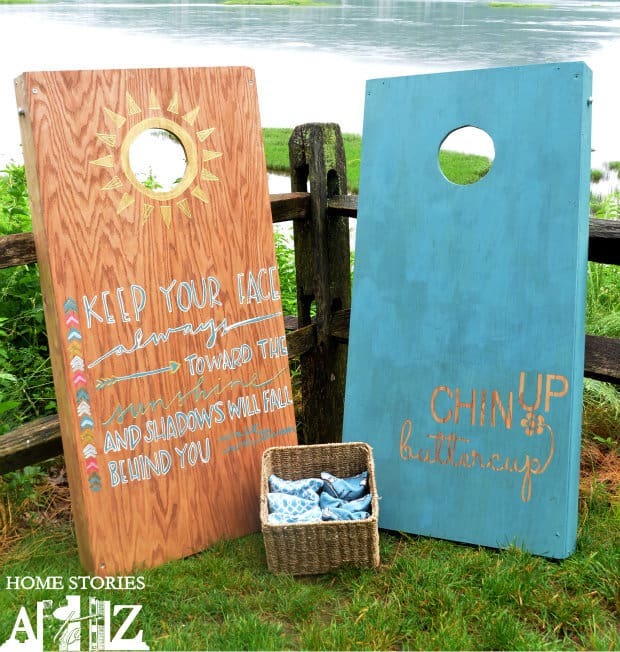 These DIY backyard games are fun for the entire family, great for parties, or just outdoor fun. You can enjoy a fun afternoon together and fire up the grill for an easy outdoor dinner too. Even better, making these games together as a family is almost as much fun as playing them! 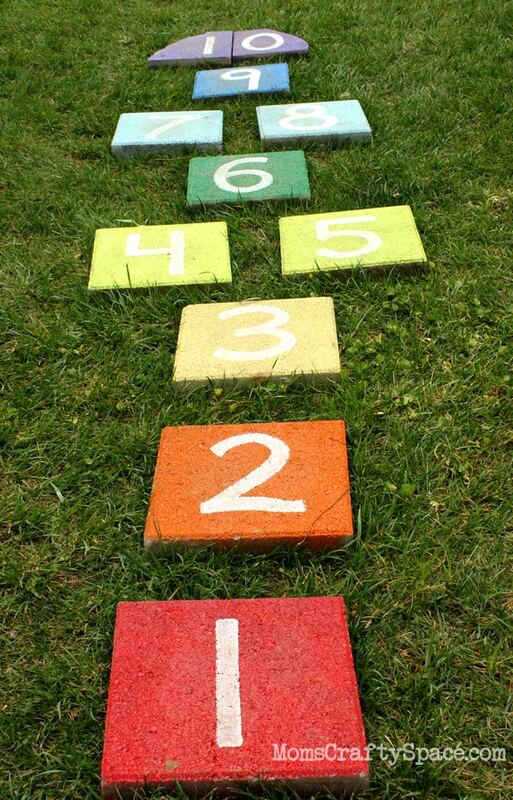 Your favorite family board games become brand new experiences when you make them bigger and play them outside! Save a ton of money by making your own versions of traditional backyard games. Prefer to save time? 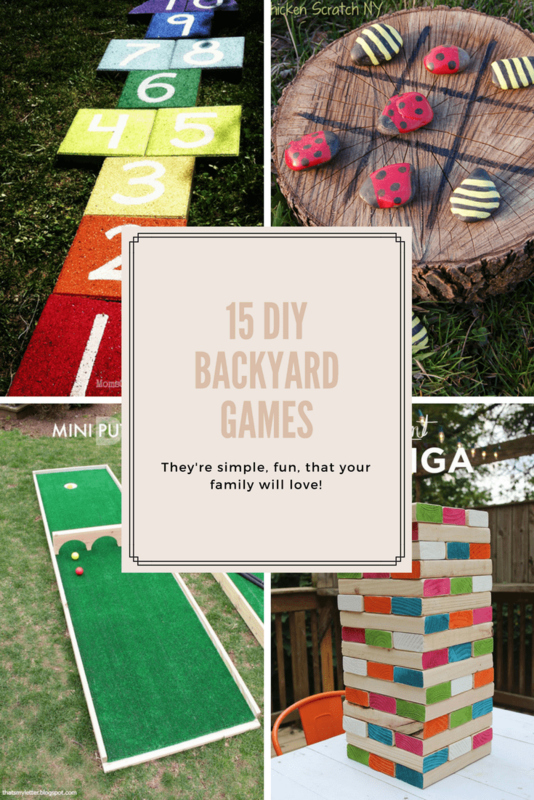 Next to each DIY backyard game is a link to a version you can purchase instead. Sometimes, you can breath new life into old games by putting a new twist on them. These creative versions of a couple of classics should do the trick! 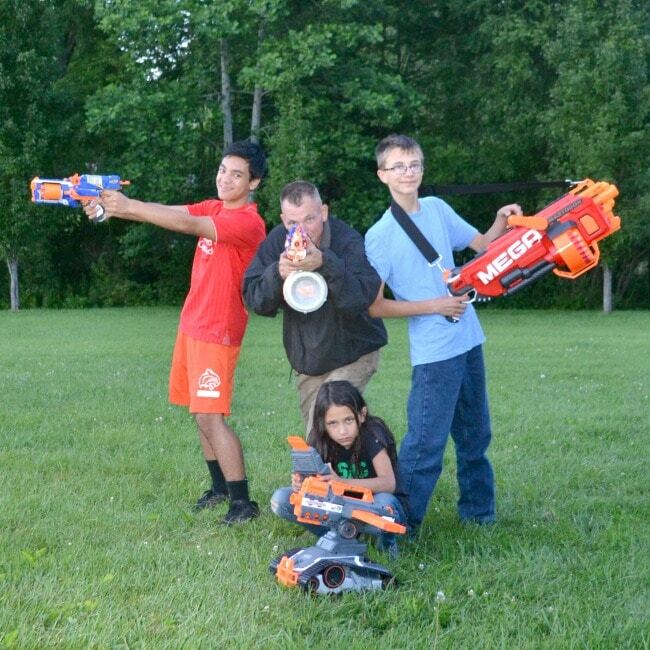 One of my family’s favorite outdoor activities is to have an epic Nerf war. 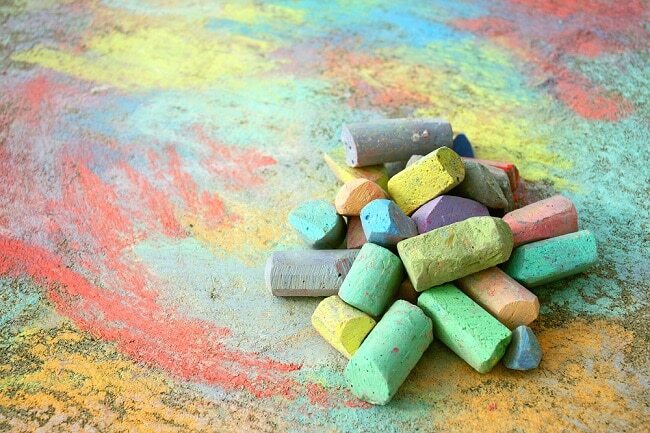 We also manage to have a ton of fun armed only with sidewalk chalk! 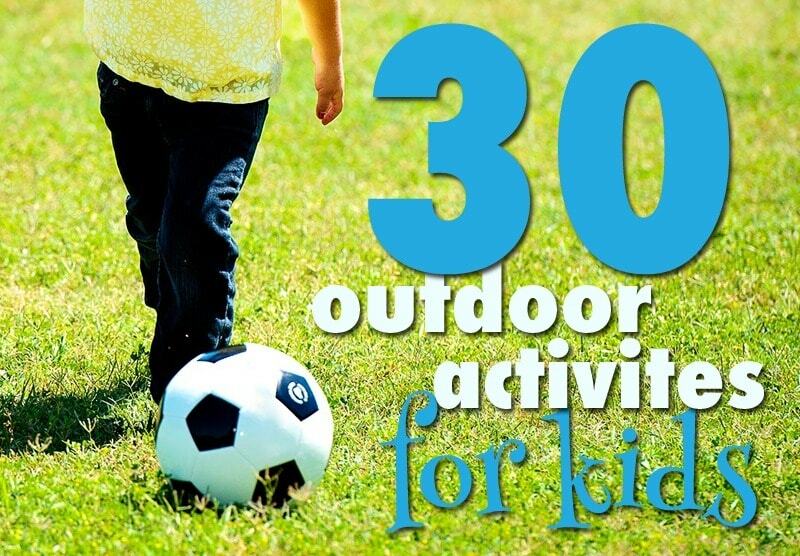 And my kids love all of these outdoor activities. Prefer to stay busy inside? Check out these indoor games you might enjoy. 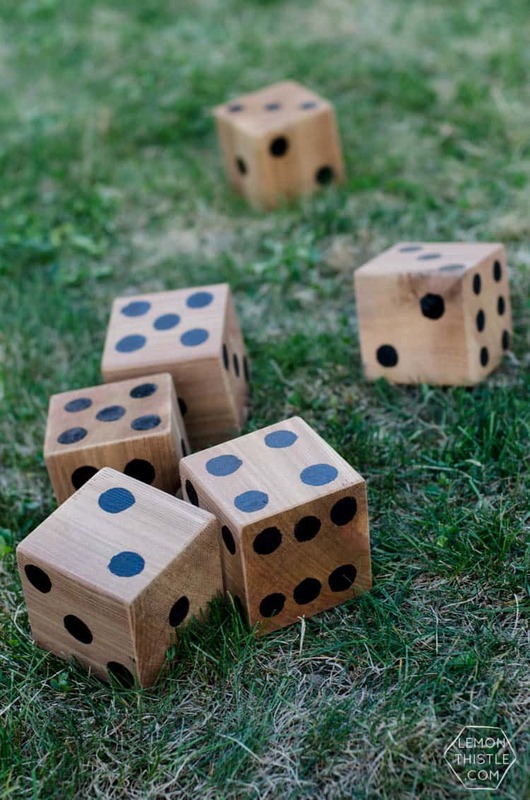 And here are four DIY table games you can make and play as a family!